When I was five, my friend, Angelina, pushed me into an apple tree during an after-school game of tag. The resulting branch in the eye shattered the lens in my eye. I was a patch-wearing kindergarten pirate for a little while, and sight altered for always. At any moment I can transform my world by closing my right eye and see the world as a series of enhanced reflected light and de-saturated color. This led me to the believe that I had superpowers (like being able to make animals do what I want by staring at them) but also sparked a lifelong fascination with eyes and how we see. Fast forward to now, I’m an event designer and our team produces everything in an event from a very small to a grand scale. The most critical issue we deal with on a daily basis is what to include in our designs and what not to. Editing. 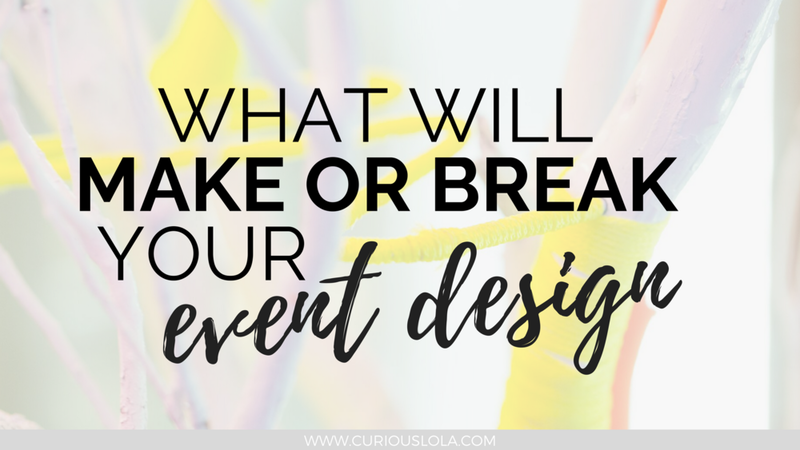 It can mean the difference between an irrelevant event that is quickly forgotten, and an event that wraps up an audience in time and space and gives them a life altering communal experience. While critical, editing is also the most difficult since there are so many options. One tool I use right away is to think about the event and view the space in terms of light alone; in grayscale. It reduces what you have to work with to a series of shapes and contrasts. Your design then is to add shapes and contrasts, or take them away in order to focus on whatever you want to focus on. It turns out there is some good science behind this, and my amateur forays into observing and studying how eyes and brains understand what we see have led me to include it as a critical step in our editing/ design process. It’s understood first before any willy-nilly cultural perceptions like color can be applied to our visual understanding. This is what gives you the gestalt feeling of place. It organizes space and determines largely whether or not you feel comfortable. It also determines what you are likely to look at and what you are likely to ignore. The quick and dirty is that people see contrast in luminance first and clearer, even if the colors are contrasting but ultimately equi-luminant. People are less likely to focus closely on predictable repetition, or contiguous areas of equi-luminance. 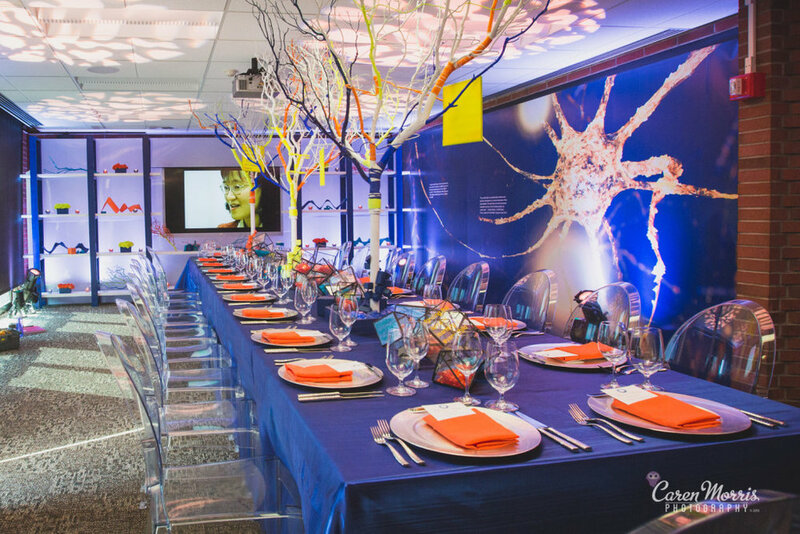 This is why the back wall with the screen and the neuron on the wall in the photos above sing while the table, items on the table, chairs, and ceiling do not. See for yourself how you can use this powerful tool to draw attention to different areas of your work on both a small and large-scale.